Steve Hoard, a founding partner of Mullin Hoard & Brown, concentrates his practice in the area of complex civil litigation, with focuses in professional and director and officer liability and creditors’ rights. He has personally handled cases in federal district and bankruptcy courts and multiple state courts. Steve has a magnitude of experience in representing trustees of creditors’ trusts for publicly traded companies established after bankruptcy. He has prosecuted both accounting malpractice and director and officer liability claims on behalf of trustees. Steve has also represented a variety of creditors, trustees and receivers in prosecuting complex fraudulent transfer claims. He has successfully attacked offshore trusts that were established to put assets beyond the reach of creditors. He also has extensive experience in obtaining asset freeze injunctions to prevent defendants from making further fraudulent transfers while cases against them are pending. Steve is Board Certified by the Texas Board of Legal Specialization in both Civil Trial Law and Business Bankruptcy Law. 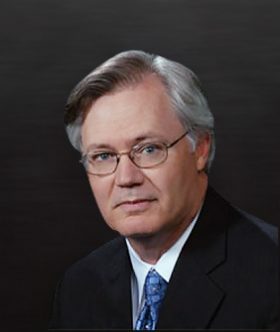 He is a member of the State Bar of Texas, the North Carolina State Bar, the American Bar Association and the Amarillo Bar Association, for which he served as President in 1995-96. Steve received a B.A. in English with highest honors from the University of North Carolina at Chapel Hill in December of 1975. He received his J.D. degree with Honors, also from the University of North Carolina, in May of 1979. While in law school, he served as articles editor of the North Carolina Law Review.